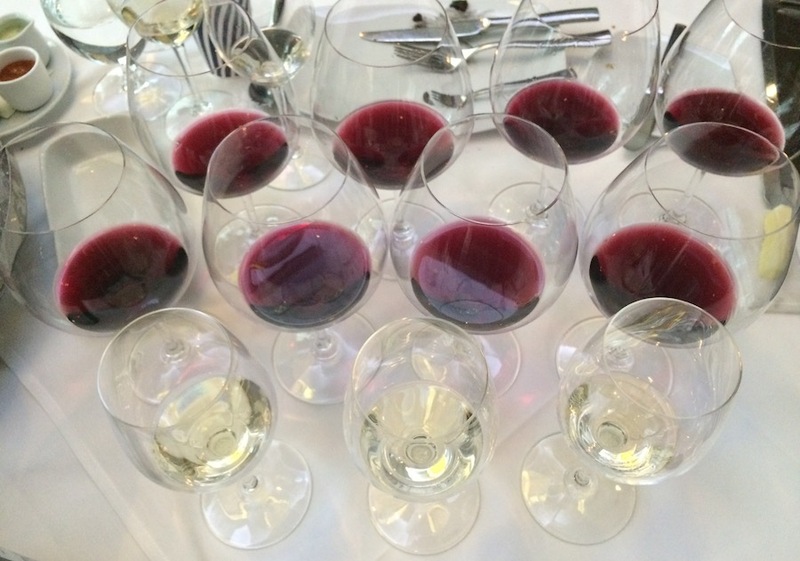 Home Wine From Around the World Can the 2016 Beaujolais Vintage Match the Historic 2015? Following an all-time vintage is never easy. 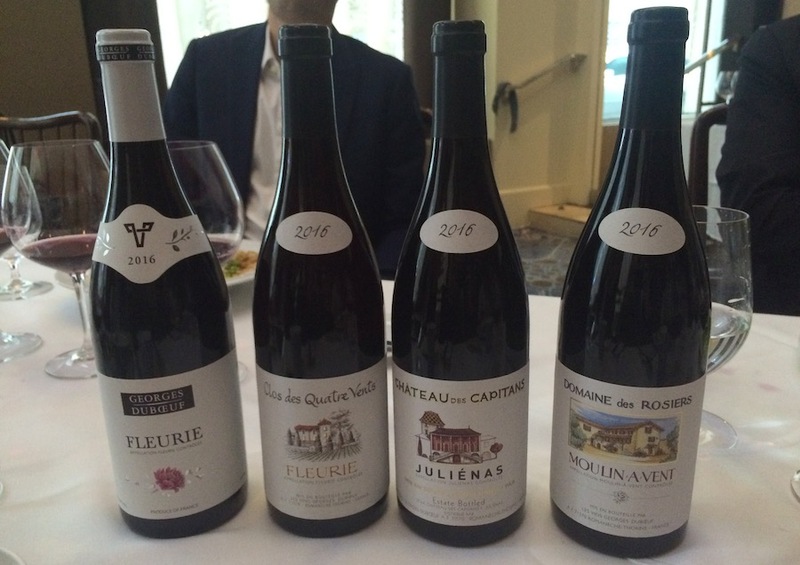 The 2015 Beaujolais Gamay wines were said to be the AOC’s best since the 1940s. But Franck Duboeuf, son of legendary Beaujolais winemaker Georges Duboeuf, believes the 2016 harvest a fine sequel to 2015. Winemakers in Beaujolais weathered their share of setbacks with the 2016 vintage. Growing season started with an early spring, which turned cool and rainy enough to warrant concern by the beginning of summer. As the southernmost AOC in Burgundy, Beaujolais suffered through the hailstorm that ravaged parts of the region that June. Fall was a saving grace. The weather turned ideal in September and October. “It was the warmest September in the last 50 years,” Franck said. “It brought the final touch to this vintage.” Some growers harvested “a little bit early,” he added, while those who waited were gifted with two extra weeks of harvest season. Beaujolais produces only red wines from the Gamay varietal, while Chardonnay is the sole white grape in the neighboring Macon region. Beaujolais is best known for Beaujolais Noveau. A longtime tradition, this young red is released each year on the third Thursday of November, just six-to-eight weeks after harvest. But Beaujolais offers more than just this annual event, of course. Thanks to a system set in place by Georges Duboeuf in the ‘60s — wherein his company Les Vins Georges Duboeuf bottles and markets for smaller regional wineries, allowing them to focus on production — Beaujolais boasts some of the best price-to-quality ratios in all of France. Like the Beaujolais-Villages Flower Label 2016. With a suggested retail price of $12.99, this is an excellent introduction to the region’s famously light, flavorful, easy-drinking Gamay wines. Its candied berry flavors complement salted meats, soft cheeses and lighter meat or pasta dishes. Les Vins Georges Duboeuf produced 90,000 cases. Millennials may want something more unique. Beaujolais excels there too, with terroir-specific wines that hardly break the bank. Beaujolais produces terroir-specific wines that hardly break the bank. The Clos des Quatre Vents 2016 ($21.99) is well representative of its Fleurie Cru. It has an emblematic silky texture and floral aromatics, along with black fruit flavors. Nine hundred cases were produced. Growers in the Juliénas Cru believe theirs to be the first Beaujolais vineyards planted, by Romans during the Gallic Wars of 58-50 B.C. The Cru is named after that conflict’s chief Roman commander: Julius Caesar. Whether or not the Cru predates other Beaujolais vineyards, it produces some of the boldest Beaujolais wines. Like the spicy, peppery Chateau des Capitans Julienas 2016 ($21.99). Rich and full-bodied, with black berry notes and tannins that could use some rounding, this wine holds up against heavier meats and older cheeses. 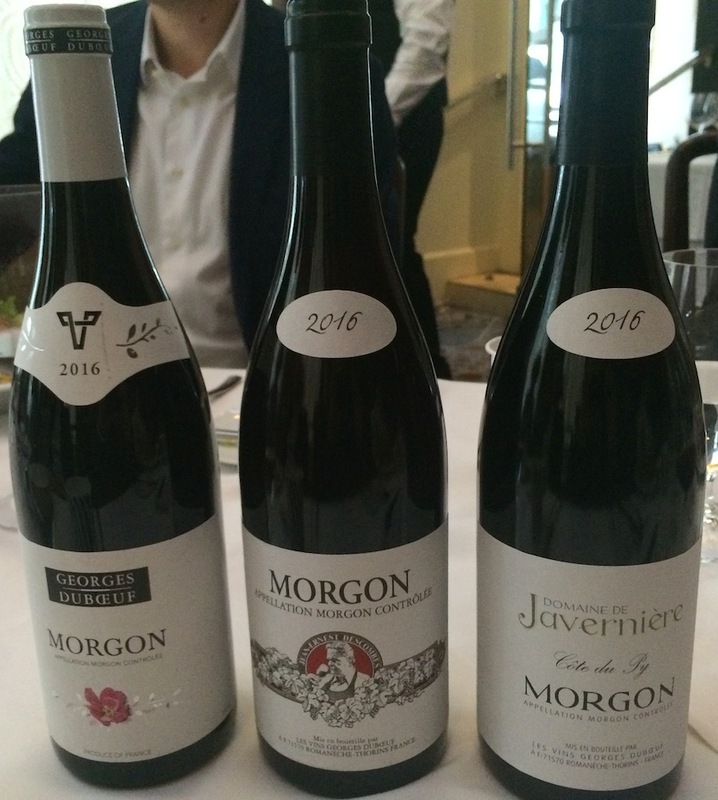 The Morgon Cru puts out wines of rich, earthy character. The Morgon Cru puts out wines of rich, earthy character. The Jean Ernest Descombes 2016 ($21.99) boasts complex red/black fruits, brandy notes, and earthy aromatics. Some vines used in the wine can count a century in age. Or the Domaine de Javernieres Cote du Py 2016 ($19.99). With similar flavors and solid ageable tannins as the previous Morgon, this comes from old vines (50 years and up) on the Cru’s most-famous hillside: the centrally located Cote du Py, known for producing potent wines. Though a helping hand from a knowledgeable server or retailer never hurts. Kyle Swartz is managing editor of Beverage Dynamics magazine. Reach him at kswartz@epgmediallc.com or on Twitter @kswartzz. Read his recent piece 5 Alcohol Trends At Taste NY Craft Expo 2017.